On July 14, 2018, Code Compliance Officer Jacqueline Caicedo, along with 11 of her colleagues, went beyond the call of duty and rehabilitated the home of an elderly resident in need. Following the loss of a close family member, the elderly man had not cut his lawn in over four years. Due to serious health complications this past year, he’s also been physically unable to cut his lawn or afford costly lawn maintenance from a landscape company. Touched by his story, Caicedo felt compelled to help. She contacted the Office of Community Resources and filled out an application on his behalf for the City’s Homeowner Rehabilitation Program for which he qualifies. However, the waiting process can be lengthy. 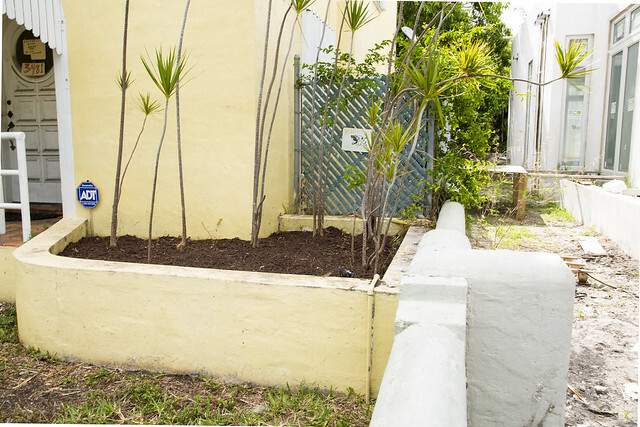 Acting alongside the application process, Caideco quickly called upon her fellow colleagues to join her in volunteering their Saturday morning to address the immediate property maintenance concerns. The generous employees brought their own equipment and got to work mowing the yard, pulling weeds, fixing the patio screen and more to bring his home into compliance – ultimately, spreading kindness throughout the community. At the July 25th Commission Meeting, Caicedo and her crew were all given the City’s first City of Kindness Award for going above and beyond in performing an act of kindness toward a fellow community member and for embodying the City’s commitment to spreading kindness throughout Miami Beach. 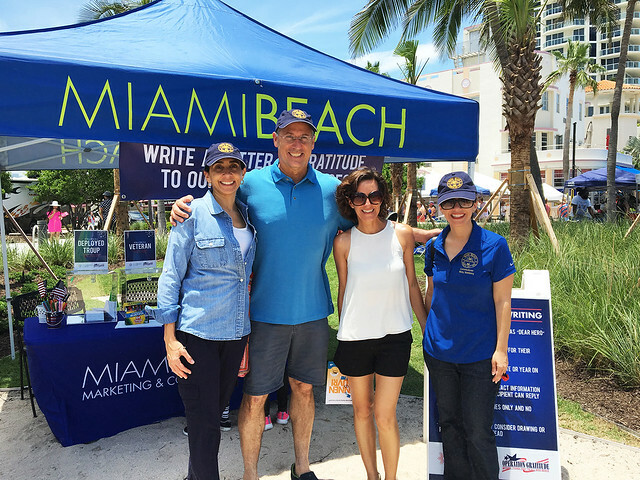 During the City’s Annual Fire on the Fourth Celebration, Miami Beach extended the kindness movement to America’s heroes. The City partnered with Operation Gratitude — an organization that seeks to lift the spirits and meet the evolving needs of the U.S. Military and First Responder communities, as well as provides volunteer opportunities for Americans to express their appreciation to all who serve our nation. Throughout the event, attendees of all ages wrote letters of gratitude and illustrated sweet and thoughtful pictures to send to new recruits, first responders and the brave men and women who are fighting, or have fought, for our nation’s freedom overseas. Attendees expressed their sincere thanks to our heroes for their courage, sacrifices and selflessness. The operation was a success! 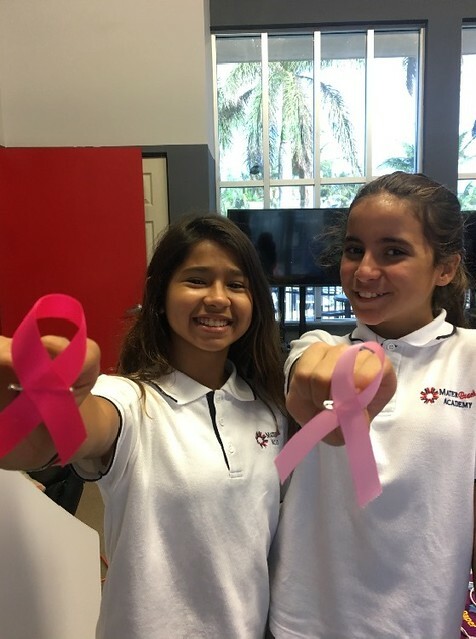 In honor of Cancer Awareness Month, Miami Beach teens made and gifted hand-made ribbons to cancer survivors at local Mount Sinai Hospital. The special visit raised morale in the hospital as they moved past being strangers and shared stories and jokes with love and familiarity. The children also wrote personalized cards with inspirational words for the survivors – spreading kindness and empowering them to keep on going. Celebrated on November 13, World Kindness Day is meant to inspire individuals towards greater kindness and to connect nations to create a kinder world. This movement recognizes how a simple act of kindness, big or small, can bring people together to build a stronger community. Joining the international movement, the Mayor and City Commission proclaimed November 13, 2017 as World Kindness Day in the City of Miami Beach. The City partnered with KIND Snacks to promote their Eat One, Kind One campaign. 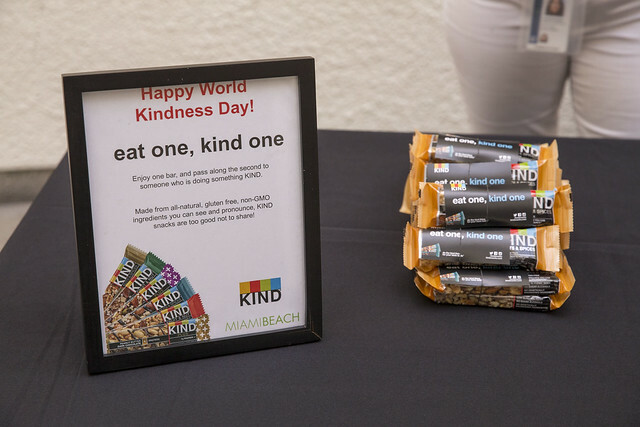 Employees received two complimentary KIND bars, one to enjoy as a healthy and tasty snack and the second to share as an act of kindness towards anyone they chose. All departments took part in spreading the love and paying it forward. 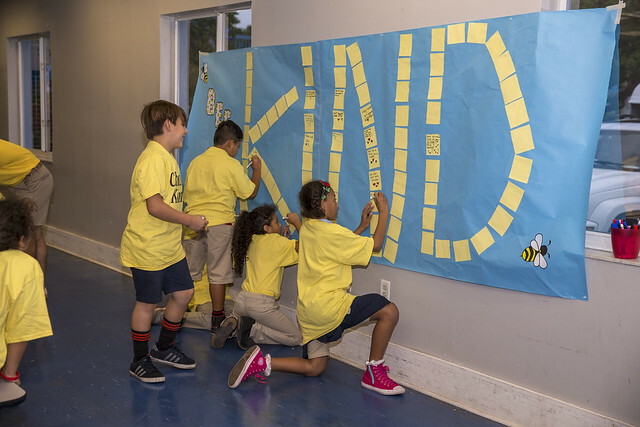 The City of Miami Beach participated in the #ChooseKind initiative – a campaign, inspired by the upcoming film Wonder, in partnership with the City of Kindness, Lionsgate and Participant Media that invites people in cities across the country to participate in kind acts as part of World Kindness Day on November 13 and beyond. #ChooseKind kicked off with a movie ticket giveaway to Wonder’s exclusive pre-screening. Five lucky winners were selected to attend. Cheerios made an impact by donating cereal boxes and t-shirts to members of the Kindness Clubs at Miami Beach schools. Thanks to the generosity of Crest, at-risk families and youth enrolled in the All Stars, Success University and Parent/Child programs were encouraged to shoot a smile at a stranger after receiving free toothpaste. 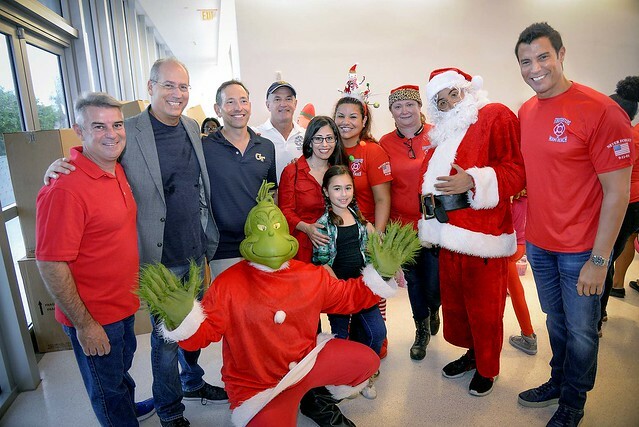 At the annual Miami Beach Fire Department (MBFD) Toy Drive, over 500 kids took home presents. From bicycles to small toys, MBFD spread love, kindness and a little holiday cheer for the special time of year. Since 1982, through the generosity of the Miami Beach community — including private citizens, local businesses and civic organizations —funds are donated to the Miami Beach Police Relief Fund, which enable the Miami Beach Police Department (MBPD) to purchase and provide toys to the children of Miami Beach. This year the MBPD received a $10,000 grant under Target’s “Heroes and Helpers” program to use towards their toy shopping and was able to gift over 450 children from the community with toys. For many, this was the only toy they received this past holiday season. 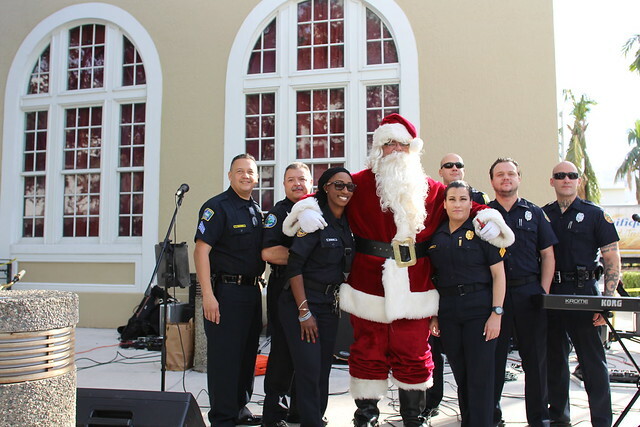 In addition to distributing toys, children enjoyed a fun-filled day with police that included face painting, popcorn and a special musical performance by In Blue. Dozens of children who are ventilator-dependent (children who need tracheostomy ventilators, C-Pap, BiPap or oxygen to support breathing) and their families enjoyed a stress-free day on Miami Beach as part of the Dr. Moises Simpser Ventilation Assisted Children’s Center (VACC) Camp. 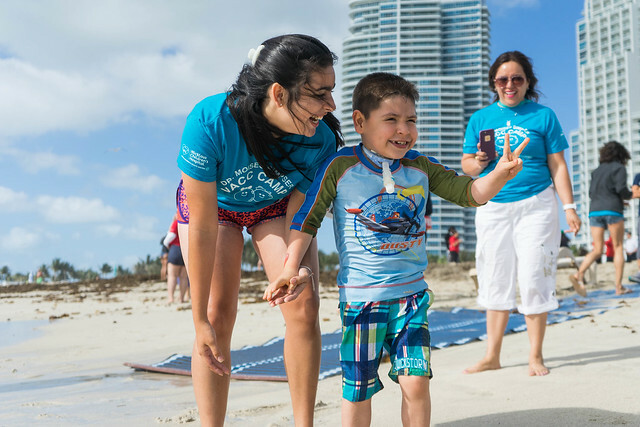 The annual visit to the beach is one of several special activities that create opportunities for recreation and socialization for children who have medical limitations. Miami Beach Fire Rescue set up wheelchair paths over the sandy beach for the children. A special “waterproof” wheelchair enables patients to go into the water comfortably. Special hand-held ventilators provide children with the ability to breathe without their devices while in the water. Dr. Moises Simpser VACC Camp, sponsored by Nicklaus Children’s Hospital, is the nation’s first week-long camp for ventilation-assisted children and their families. The week-long camp has hosted over 250 families in its 31 years, some of whom have traveled from 27 states and three countries. The experience is provided at no cost to the families and is supported by generous donations made to Nicklaus Children’s Health Foundation via www.nicklauschildrens.org/vacc Please visit www.vacccamp.com for more information.